Just like their name suggests, girl group Lovelyz boast a alluring, lovely charm. The girls will be drawing in their fans for a concert this summer. 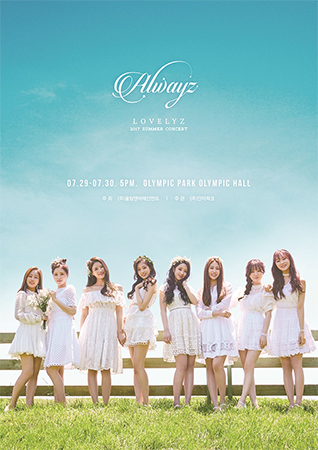 Before the month of July ends, Lovelyz will hold a concert, performing their list of popular songs. Their sweet tunes will be sure to help their fans forget about the scorching summer heat.